Defense Minister Liberman says swift progress being made on under- and above-water defense against terror from Hamas-run Strip. 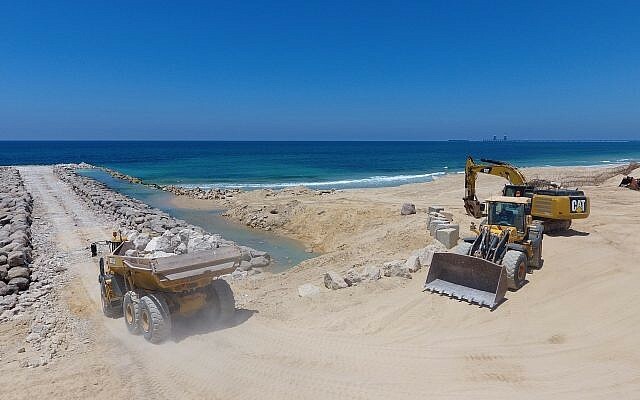 The Defense Ministry on Sunday revealed images of a new sea barrier being constructed to protect the country from attacks from the Gaza Strip, with Defense Minister Avigdor Liberman saying work was progressing at an “impressively fast” pace. “Israel’s counter-terrorism capabilities around Gaza are increasing every day,” Liberman said. 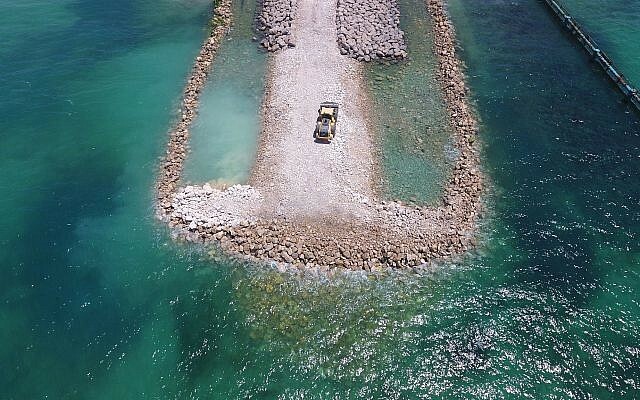 When completed it will be 200 meters (650 feet) long, 50 meters (160 feet) wide and six meters (20 feet) above the water. There will also be defensive infrastructure along the top of the barrier. 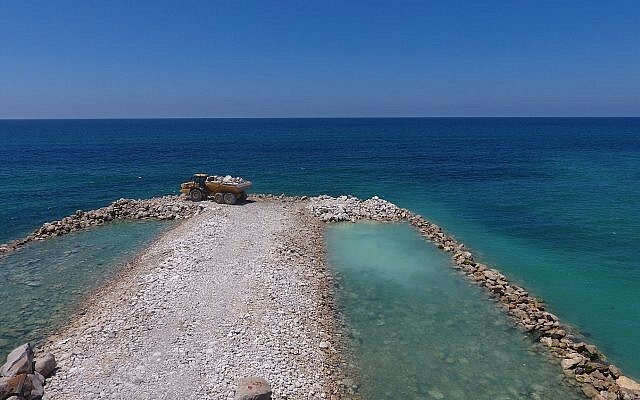 The barrier described by the ministry as an “impregnable breakwater,” constructed in the area of Zikim beach adjacent to the coastal enclave, is designed to withstand being battered by waves and to last for many years, the ministry said when it began construction at the end of May. The entire barrier itself is protected with another wire security fence. CLICK HERE TO READ MORE ON TimesOfIsrael.com. 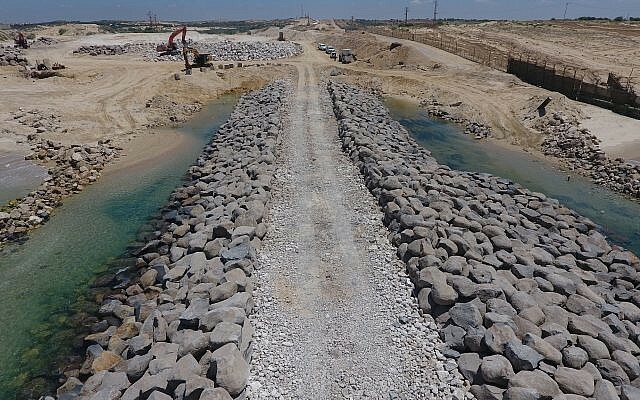 Video published on Aug 5, 2018 by the IL News YouTube channel – Israel releases first pictures of sea barrier to defend against Gaza attacks. 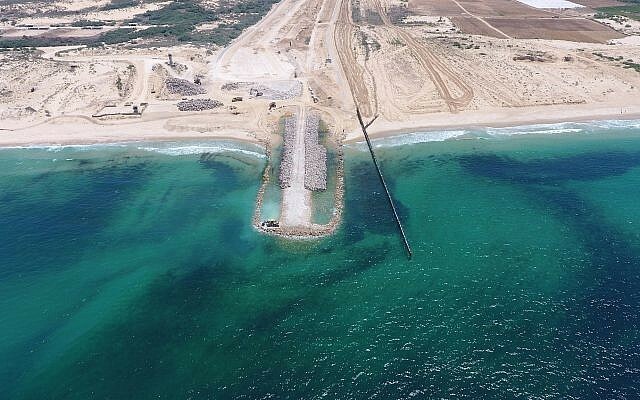 The Defense Ministry on Sunday revealed images of a new sea barrier being constructed to protect the country from attacks from the Gaza Strip, with Defense Minister Avigdor Liberman saying work was progressing at an “impressively fast” pace. “Israel’s counter-terrorism capabilities around Gaza are increasing every day,” Liberman said. 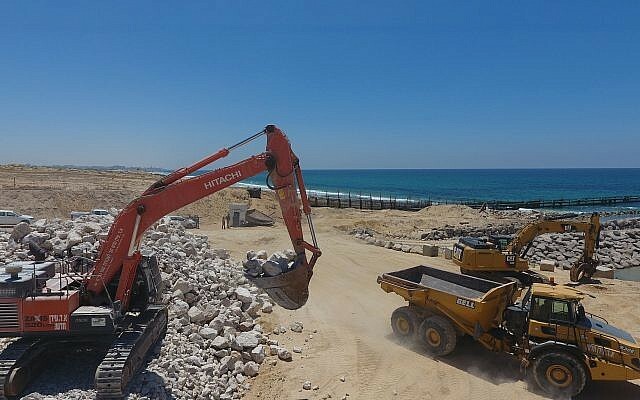 “The work to erect the land and sea barrier around the Gaza Strip is progressing at a fast and impressive rate,” Liberman said.